River cruising can be surprisingly active. Unlike ocean cruises, river cruising throughout Europe, Asia and abroad requires a decent amount of physical mobility. Walking tours are prevalent in most, if not all, ports of call, and it should come as no surprise to those wearing FitBits that it’s easier than you might imagine to hit 10,000 steps per day when you’re winding your way along the rivers of the world. But for those who are looking to keep active on river cruises, there are plenty of ways to do so – and these go far beyond a mere sightseeing walk around town. 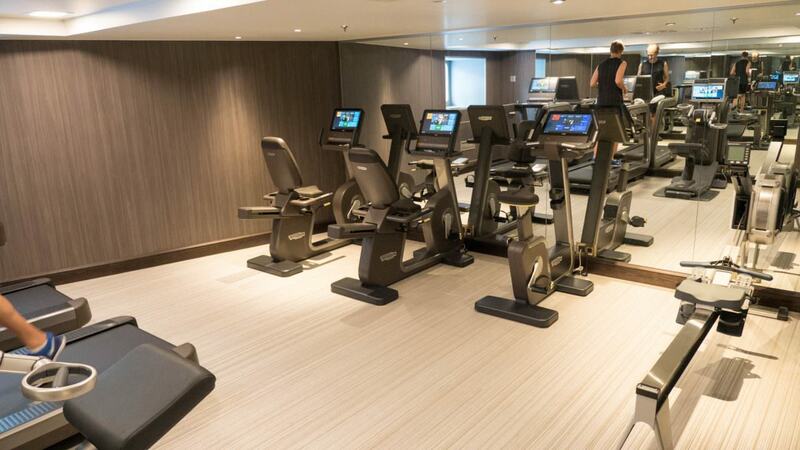 Many river cruise ships offer small but functional fitness centers that are perfect for days when weather is inclement, or during moments of scenic cruising. These are complemented by walking tracks that typically loop around the ship’s upper sun deck. You won’t see too many folks jogging on them out of consideration for those in the staterooms below the track, but a good brisk walk is a great way to stay in shape and take in the sights at the same time. Some river cruises offer wellness classes and activities, or healthy meal options. Once rare or reserved for special theme cruises only, these wellness initiatives are becoming more common on mainstream river cruises. You might participate in a yoga class up on deck, or do a morning stretch class in the Lounge before indulging in a health-conscious breakfast. 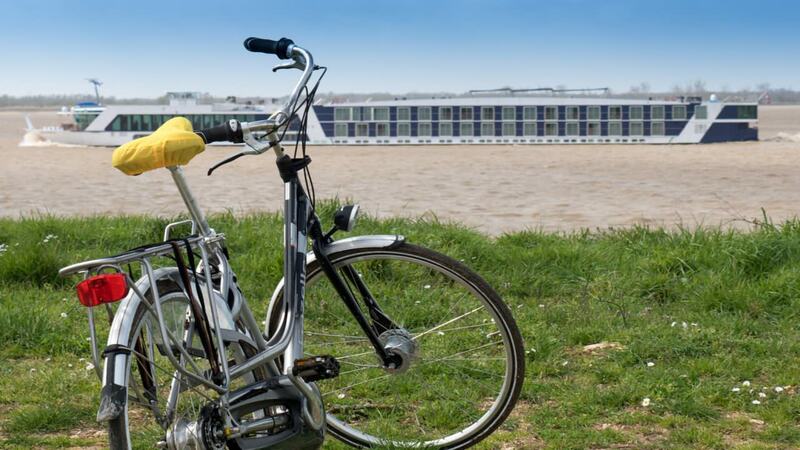 Onboard Bicycles are also gaining in popularity, with many river cruise ships offering up small fleets for guests to use either independently or as part of a guided cycling tour. 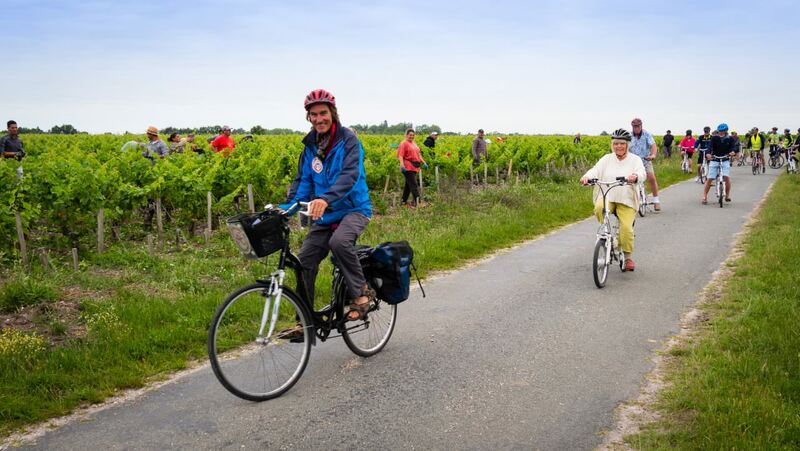 We’ve participated in both, and find this more of transportation to be immensely rewarding, particularly in small towns along the countryside, where bike paths can make it easy to cycle from one town to the next, thereby allowing you to see more of the European countryside than you might otherwise be able to. Guided hikes are now offered by most of the mainstream river cruise lines, at varying activity levels. Some of these are moderate strolls involving a decent distance and pace, while others – like the hike up to the castle ruins in Durnstein, Austria – are more strenuous, and meant for those with a good degree of physical fitness. Folks who want to take it easy aren’t left out, either. 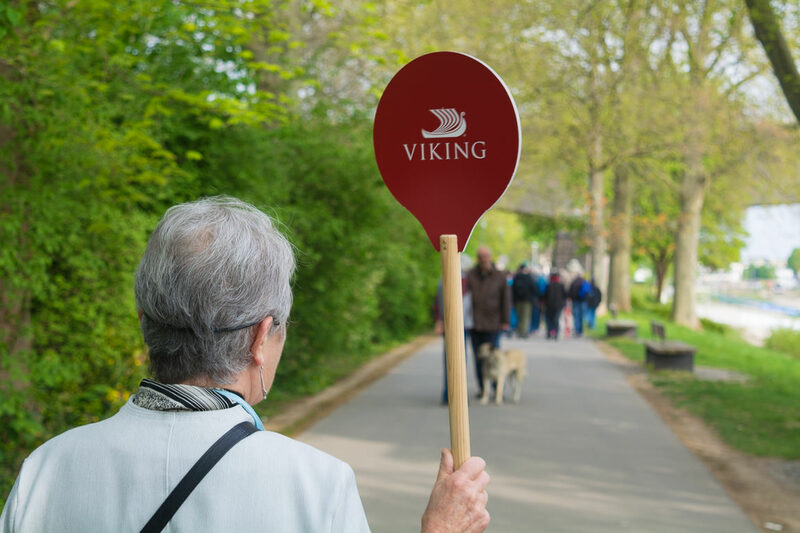 Most river cruise lines always offer a gentle walkers group that moves at a more relaxed pace when compared with the traditional walking tour. These usually have to be signed up for on-board, so it never hurts to inquire with your Guest Relations staff or Program Director once you’ve embarked. And although you’re not going to be doing laps or the backstroke in them anytime soon, some river cruise ships offer modestly-sized swimming pools that are perfect for a quick dip to cool off, or a little time spent treading water. The trouble is, not all river cruise ships offer all of the features and amenities listed above. That’s why we’ve put together this handy table, outlining what active options are offered by all of the major river cruise operators in Europe. For those who cherish their active routines, chances are good that there is a river cruise line and ship out there that suits your needs. So go ahead and have that piece of sachertorte in Vienna; there are plenty of great ways to burn it off.